An epileptic black ballerina and a Powwow dancer, whistleblower journalist meet in the Montreal airport. They are both performing at an international youth festival in Berlin, 1973 Cold War Berlin. During a long layover in Zürich, he takes the ballerina to a Swiss Bank. Speaking French, the Powwow dancer deposits many thousands of dollars into his numbered account to which he adds her name, providing no true explanation. 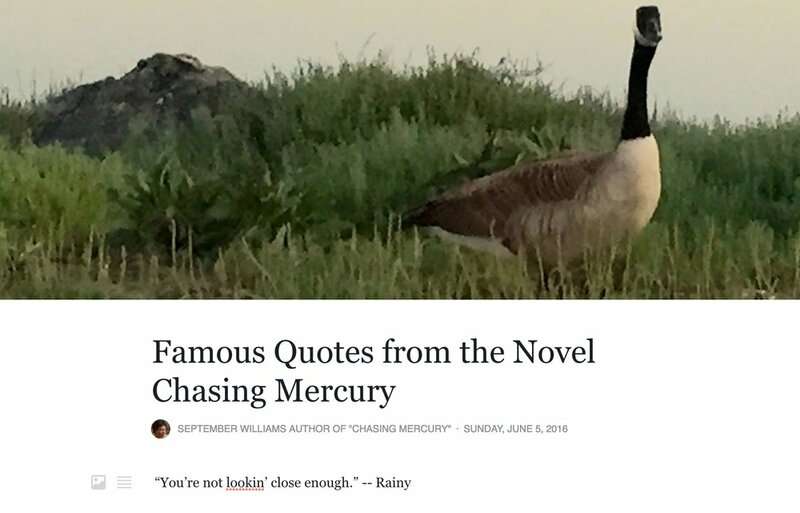 Is she an accomplice--or is this just love in the time of mercury poisoning? 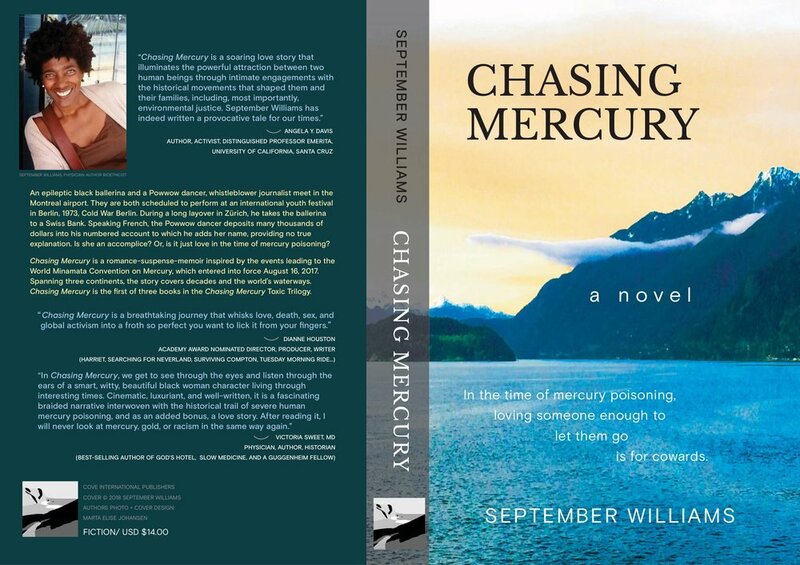 Chasing Mercury is a romance-suspense-memoir inspired by the events leading to the Minamata World Convention on Mercury, ratified and entered into force August 16, 2017. 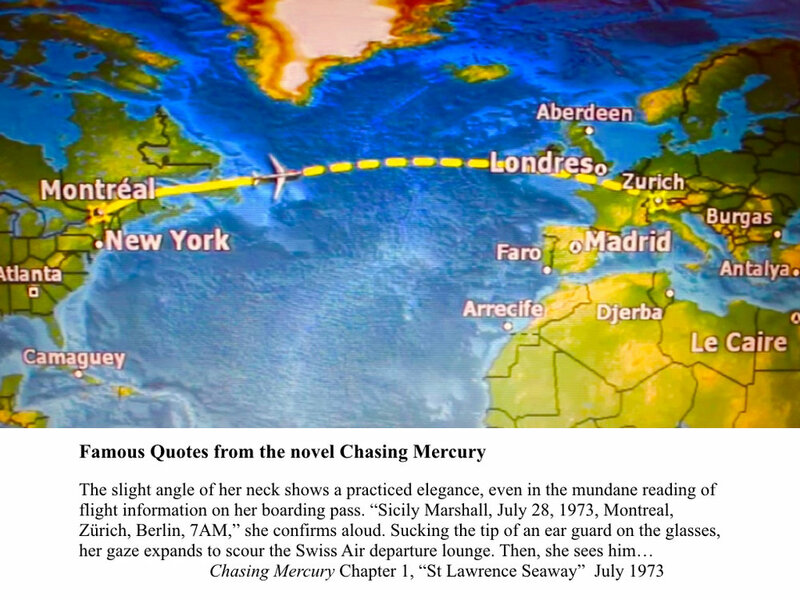 Spanning three continents, the story covers decades and the world’s waters. 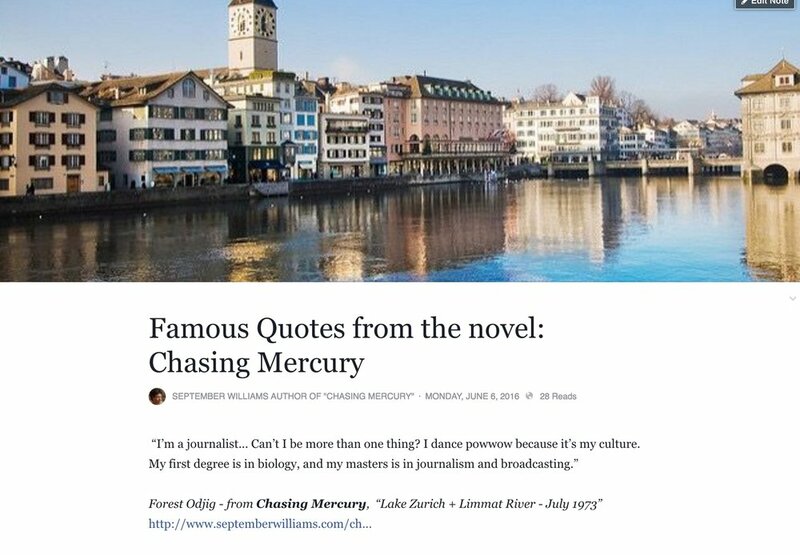 The novel connects human rights, environmental justice and romance. 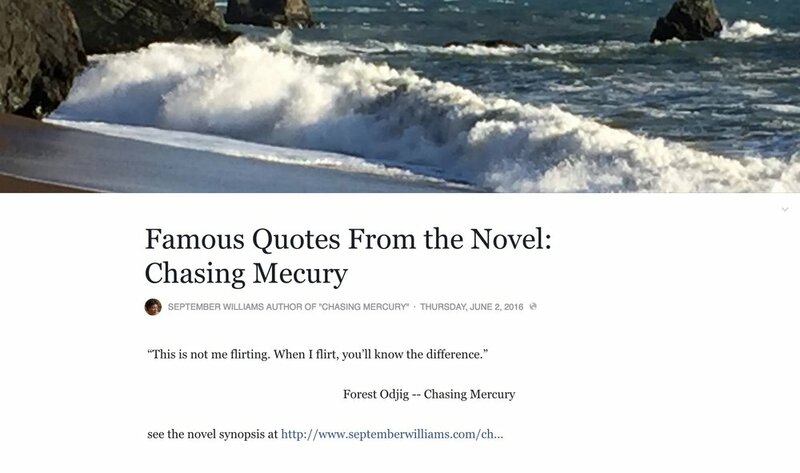 Chasing Mercury is the first in a series of three books in the Chasing Mercury Toxic Trilogy. *Have a public library card? Hoopla is a free Audiobook library distributor.